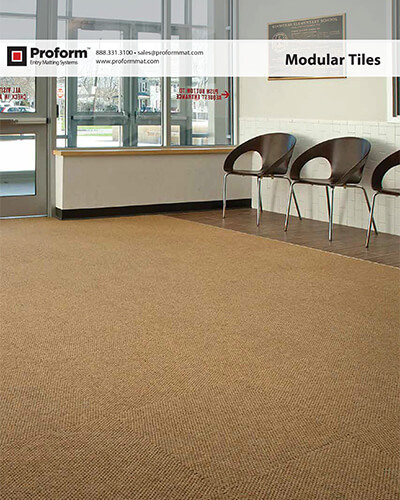 Proform™ has a wide variety of modular tiles used as interior flooring and entry matting. Perfect for larger recess wells, wall to wall installations in vestibules, or surface mounted surrounded by aluminium or vinyl reducer. 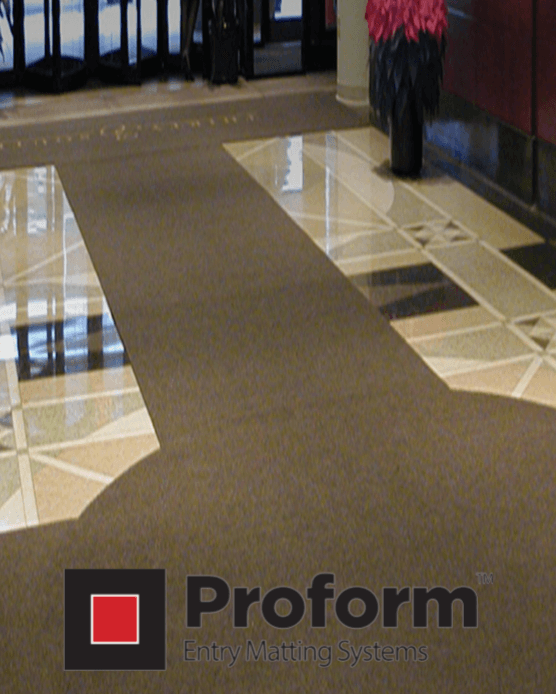 Beautiful nylon products with Class 1 fire rating for interior office, hall, or commercial settings. 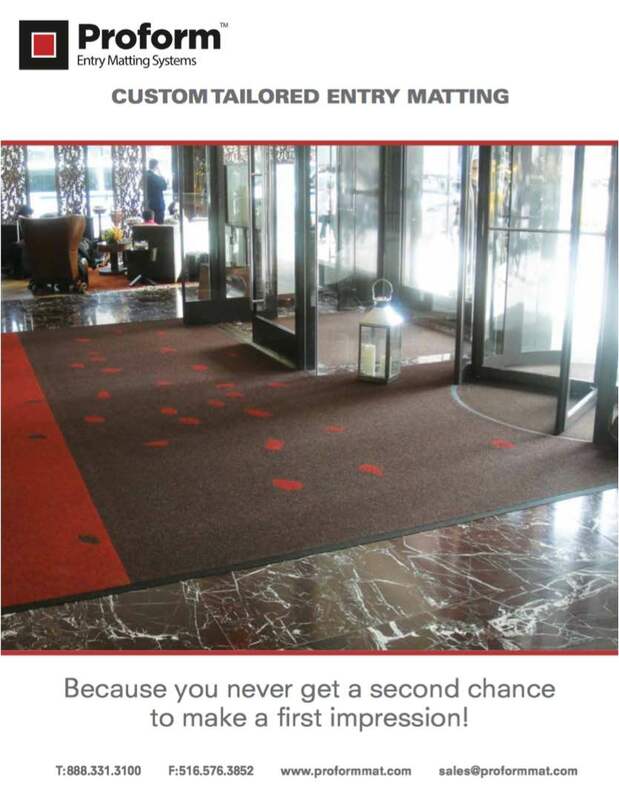 When installed with releasable glue tiles can easily be replaced if damaged or soiled. 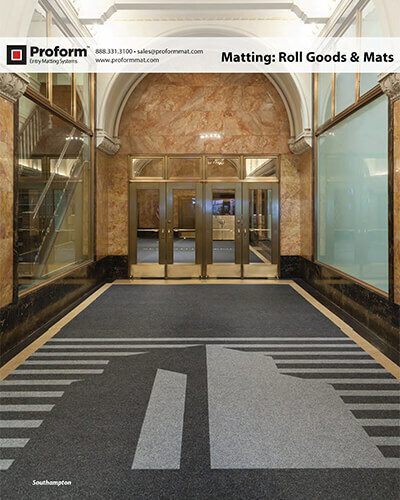 Our roll goods are available in 13'2" and 6'7" widths up to 100' long in a variety of patterns, colors, & materials. Our products are in stock for immediate delivery in nylon, polypropylene, natural coco, in ribs, berbers, cut pile, heathers, & solid colors. 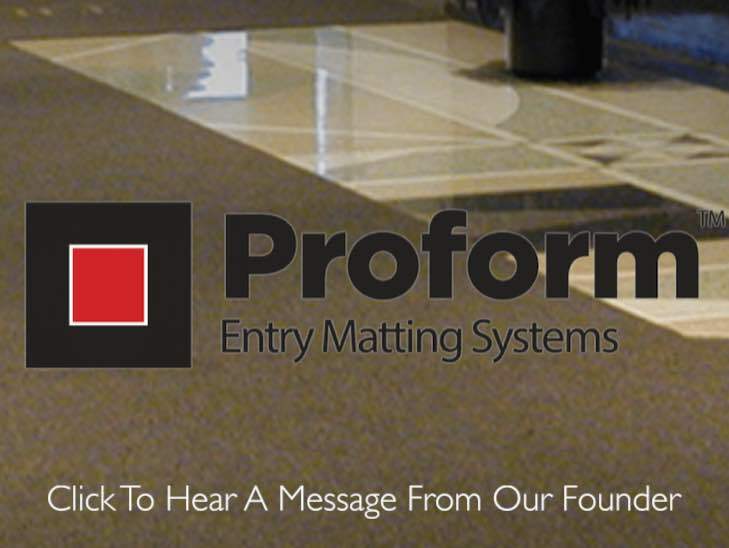 If you are looking for a simple stock mat Proform has it all. From premium to economy generally in 3', 4', & 6' widths but custom sizes are available. 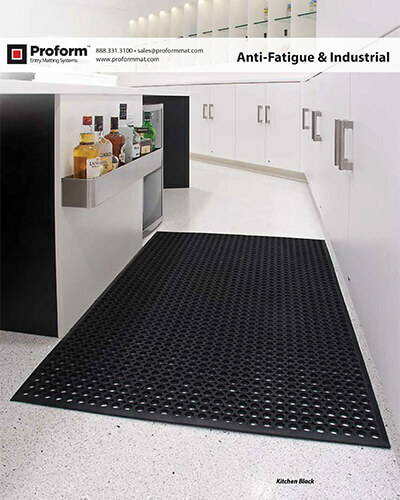 Anti-fatigue mats reduce stress and make workers more comfortable and productive. Doorman, cash register workers, kitchen staff, industrial manufacturing lines, & locker rooms are just a few applications. 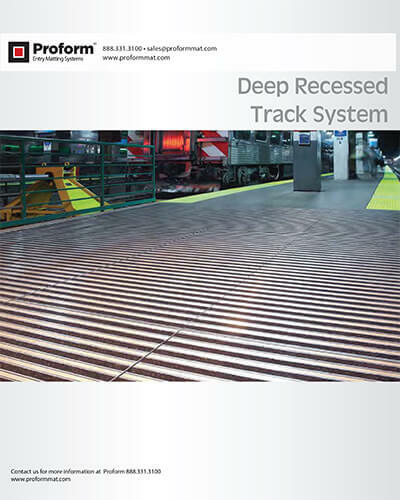 Aluminum track matting often the choice of design and architects. 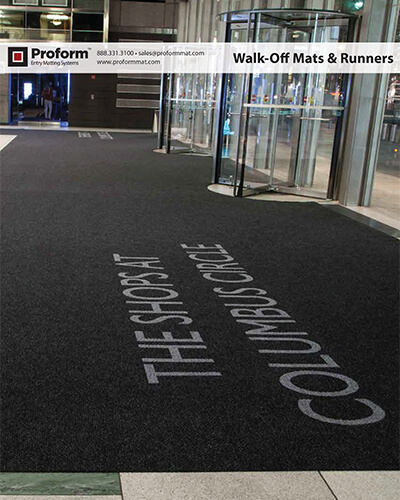 From site survey and specification to material and installation Proform has the right product and expertise to help you make the best decision for your facility or customer.